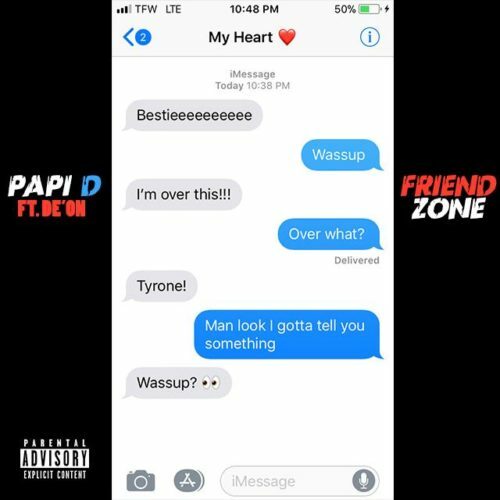 March 1, 2018 Papi D released his new single “Friend Zone.” He teams up with vocalist De’on from his hometown to create a track that helps him express his feelings. The track was produced by Heavy Keyzz. Julian Pope, better known by his rap name Papi D, hails from the city of Camden, NJ. Growing up in a rough part of the community helped motivate him to develop his rap talents to make a better life for his family. At a young age, he was inspired by 50 Cent and Dipset. Growing up in a single parent household, his mother reminded him of the importance of loyalty, dignity, and pride daily. With these principals at the forefront of his life, Papi set out to chase his dreams and become a household name in the industry. Papi’s knowledge of the history of hip-hop music, his vocal delivery, and relatable lyrics are not the only things that separate him from the rest. He writes his own music and directs all his music videos. This distinguishes him from other artists in his genre of music. Papi has performed in over 100 shows in cities such as Atlanta, Bronx, Philly, and Austin and opened up for artists like Pedi Crack and PNB Rock. His biggest show to date was Chilatlanta at SXSW.